From the beginning of creation as dramatically documented in the book of Genesis through the final revelation of God’s Son, Messiah Jesus, remarkably recorded in the Book of Revelation, the Bible abounds with God’s truth for humanity. For example, the comprehensive moral laws of the Ten Commandments applicable to all nations, even though they were given first to God’s people the Jews—chosen to bring the light of God’s truth (ultimately through Messiah Jesus) to the entire world. Contrasted to the civil and ceremonial laws, including the seven Jewish Festivals and the Levitical Sacrificial system, given exclusively to the Jews. And then perfected and extended to all people through the New Covenant, in which God’s Son has fulfilled (four spring feasts) and will fulfill (three fall feasts) the very purpose of the Jewish Festivals. Two thousand years ago, Messiah Jesus replaced the repeated sacrifices of the Levitical system with his final once for all sacrifice for sins and the penalty of sin. He alone qualified as that sacrifice by perfectly keeping (fulfilling) the Mosaic Law which no other human being has ever done. With Abraham—the Jews forever possessing the Promised Land of Israel. With King David—the restoration of David’s dynasty by God’s Messiah, the ultimate King of all kings (Isaiah 9, Revelation 17). And through the New Covenant of Grace—implemented by this same Messiah, Jesus of Nazareth. These covenants reveal God’s majestic attributes (including his moral and spiritual laws) and his magnificent design and destiny for humanity. Truth that can mean the difference between eternal pardon or perpetual judgment; everlasting life or unending death; the glory of heaven or the torment of hell; blessings or curses during our existence on Planet Earth. Such as the one and only condition the Lord imposed on our original parents, Adam and Eve (given the freedom of choice) after creating them in a Paradise that contained everything they could possibly need or want. Along with a severe sentence for rejecting that one restriction. “The Lord placed the man in the Garden of Eden to tend and watch over it. But the Lord God warned him, ‘You may freely eat the fruit of every tree in the garden—except the tree of the knowledge of good and evil. If you eat its fruit, you are sure to die’” (Genesis 2:15-17). And die they did, as has and will every person since. However, that’s not entirely true. Some have not paid taxes or are exempt from taxes. Not so with death. There are no exceptions. One of every one person will die. “We are made right with God by placing our faith in Jesus Christ. And this is true for everyone who believes, no matter who we are. For everyone has sinned; we all fall short of God’s glorious standard” (Romans 3:22-23, italics for emphasis). “All people will die for their own sins” (Jeremiah 31:30a). We deserve physical death because we’ve all earned it, though it’s a payment no one wishes to collect. Even with the wonderful news that Messiah Jesus offered himself as the substitutionary sacrifice for the penalty of our sins, then proved that he was who he claimed to be (Son of God, Son of David, Son of Man) by rising from the dead, this stunning sacrifice does not (yet) set aside the universal law of bodily death. The complete cancellation of physical death will not take place until after the Millennial Reign of Jesus Christ, which will usher in Eternity. Remember: Even though the Lord enforced the death penalty for sin, he says: “…As I live! Declares the Lord God, I take no pleasure in the death of the wicked (unsaved)…” Ezekiel 33:11, NASB, parenthesis mine). “And just as each person is destined to die once and after that the judgment, so also Christ died once for all time as a sacrifice to take away the sins of many people. He will come again, not to deal with our sins, but to bring salvation to all who are eagerly waiting for him” (Hebrews 9:27-28, emphasis added). Many are more familiar with the King James Version which says the same thing, but with slightly different wording. “And it is appointed unto men once to die, but after this the judgment” (Hebrews 9:27, KJV). Note: “To bring salvation” (Hebrews 9:28) is not the justification and guarantee of eternal life imparted to everyone the moment they believe and receive Jesus as personal Savior. Rather, it is the culmination of our redemption through two tremendous privileges given to all believers: (1) transformation of our earthly bodies to immortal spiritual bodies at the Rapture; (2) Exemption from the final wrath of God poured out on an evil world hell-bent on defying and denying the true and living God and his Messiah. Although the subject of this week’s article as presented in the title is mainly for believers—the resolution (explanation, clarification) of an “apparent” ambiguity between two teachings in Scripture—I want to take a moment to comment on secular or pseudo-Christian attempts to find inconsistencies or outright contradictions in the Bible. With an up-front unequivocal statement: There are none! (1) Disproving the fulfillment of Biblical prophecies mostly by trying to post-date the time when the Lord revealed these predictions to the time of their fulfillment. The book of Daniel is one of their favorite targets. Time and space do not permit elaboration, except to say they have failed miserably with this tactic. (2) Concerning miracles in the Bible, they attempt to discount the divine origin of the miracles by using natural explanations to explain away supernatural events. This is done even by those whose agenda is not necessarily to discredit the Bible. For example, there are those who have tried to rationalize the first nine plagues God through Moses dispensed against Egypt, by relating them exclusively to natural phenomena, beginning with the Nile River turning to blood. With one huge problem on that first plague alone. They reach the conclusion that it really wasn’t blood, but a “blood-like” mixture of this or that. 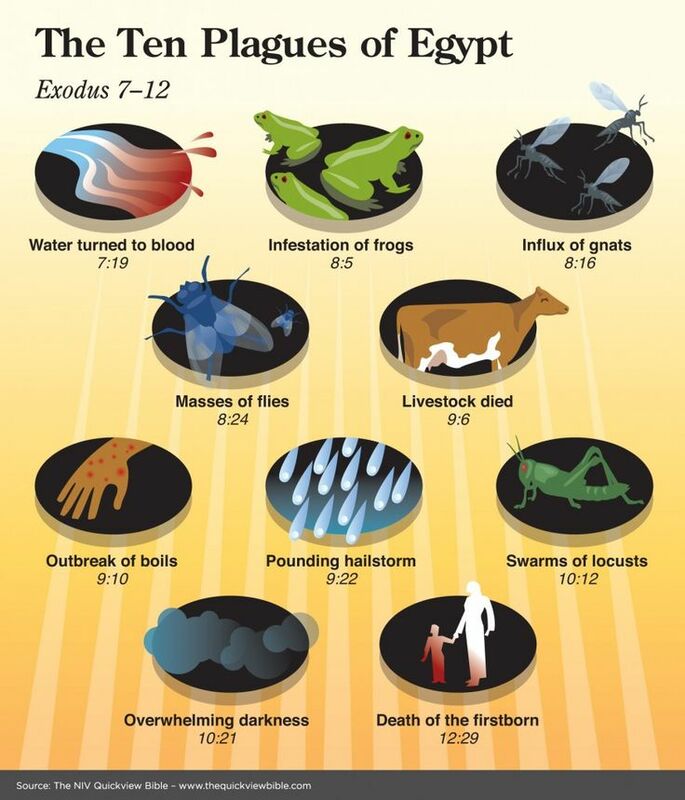 There is absolutely no symbolism taking place in the Ten Plagues of Egypt. I’m sure the Egyptians wished they had been metaphorical! Strangely enough they do agree that, for example, the flies are flies and the frogs are frogs and so on. However, each of these plagues was of exceedingly greater magnitude than any “natural” catastrophe could have been. The frogs were so bad that they were even in Pharaoh’s bed! For sure, there are many miracles recorded in Scripture in which God uses nature. With one huge difference: The Lord supernaturally altered the natural course of nature with a result that the event would and could never had occurred (in such scale) without God’s sovereign supervision. Essentially, that’s the definition of a miracle. There are other miracles in Scripture which indisputably transcend the laws of physics, such as the tenth Egyptian plague that the “expert critics” simply cannot explain. Why only the firstborn males of the Egyptians and their livestock? Why not the firstborn of the Hebrews also, why not females, or why not random deaths of a second-born or third-born child? Why the sudden death all in one night’s time? And so forth. (3) Another favorite tactic of the critics—one in keeping with today’s article—is that of finding Bible passages that are seemingly contradictory, especially if there are two or more accounts of the same incident. Here, the Four Gospels are their favorite target. Even believers sometimes question what appears to them as conflicting descriptions. The critics operate with the presumption that the gospels are contradictory, not complementary. They conveniently overlook or dismiss the time-tested template of investigative reporting: not all accounts of a story match up one with the other. Does that automatically mean that one version of the event is false, and another is true? Of course not. It simply means, for example: If 10 journalists report an event, there could be 1 to 10 varying highlights on certain features of the episode. Unless there is a glaring discrepancy between the reported facts (such as some reporting that the U.S. President replied, “Yes,” to the question, and other articles indicating the President said, “No,”), the fact that only a few or perhaps none of the articles contained ALL of what was seen and heard doesn’t mean that the reports were contradictory. And certainly, doesn’t mean that the event never happened. For instance: Matthew’s and Mark’s Gospels mention only one angel at the empty tomb of Jesus. With Luke and John specifying there were two angels. For that matter, the gospels differ as to how many women went to the tomb that Sunday morning. Does that mean that their accounts are contradictory, in terms of what really happened? Once again, absolutely not. Matthew and Mark identify just the angel that spoke to the women. That doesn’t mean the second angel wasn’t there. There’s not a reputable news editor on the planet who would accuse an investigative journalist from another news source of inaccurate, faulty, or false information just because that reporter mentions (for example) only the woman who shook hands with some dignitary, even though there were several other women attending that luncheon. Even when reporters record an entire event via audio or video, their actual (summary) report or film clip may or may not include everything they saw and heard. In other words, leaving something out of the story doesn’t mean that the reporting of it is either false or contradictory. 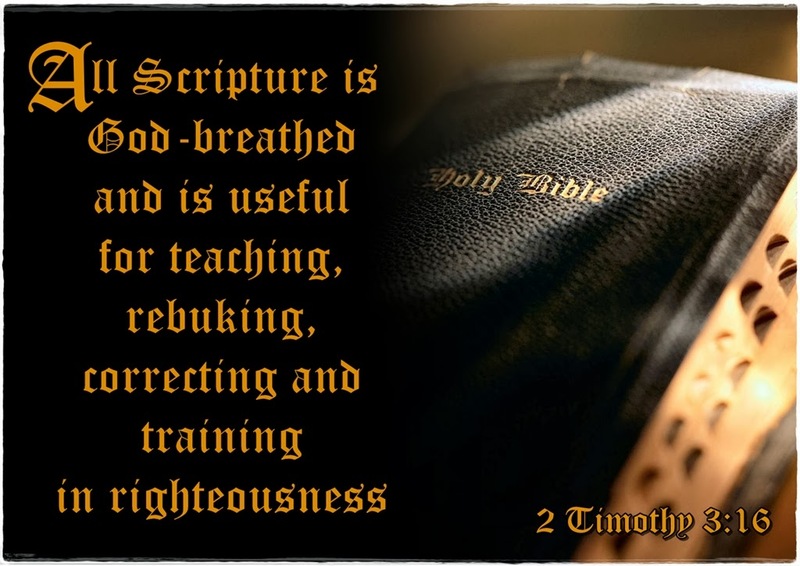 In years of studying Scripture, I and many other Bible scholars, teachers, and students have come to the resolute conclusion: The Bible never contradicts itself. I repeat for emphasis: NEVER. Seemingly conflicting passages can be more than satisfactorily understood if you thoroughly examine all segments on any given subject or event in Scripture. Comparing Scripture with Scripture and scrutinizing the Biblical context of the topic or story at hand, i.e. the whole counsel of the Lord our God. Whether a person does this directly on their own, or whether he or she looks to the gift of sound Biblical teaching given to some believers to help with this correlation and clarification is up to the individual. Or a combination of both. An Inconsistency Between the Rapture of “Living” Believers & Every Person Must Die? “For the Lord himself will come down from heaven with a commanding shout, with the voice of the archangel, and with the trumpet call of God. First, the Christians who have died will rise from their graves. Then, together with them, we who are still alive and remain on the earth will be caught up in the clouds to meet the Lord in the air. Then we will be with the Lord forever. So encourage each other with these words” (I Thessalonians 4:16-18). Otherwise known as The Rapture! Whether you’ve contemplated a potential discrepancy or not, at face value there is a perceived problem between (with) the Lord’s promise through the Apostle Paul that, “we who are still alive and remain on the earth will be caught up…”; contrasted to Bible passages that every person will (physically) die for their sins. Is there an answer to this paradox? Absolutely, there is. No different than any other apparent variance (of which there only a small handful) in the Bible that can ALWAYS be explained (resolved) without the need for undue speculation. We’ve already looked at some of these in rebuttal to the agenda of the “higher critics” of Scripture. Before we explore this intriguing contradiction, we need to look at the most tragic thing that has ever befallen humanity: DEATH. It is a self-inflicted condition caused by the congenital disease of sin; totally avoidable and unnecessary had our original parents simply obeyed the Lord. Why death? Is it too harsh of a penalty? Is it a punishment that fits the crime? The overriding answer has already been cited earlier in this article. It is a commensurate consequence of disobedience if for no other reason than God says so: “If you eat its fruit, you are sure to die” (Genesis 2:17b). However, in nearly all truth and consequences found in Scripture, the Lord discloses a reason (often directly or sometimes indirectly through deductive and inductive human reasoning that God has given to mankind—an integral component of being created in His image) for cause and effect. “Then the Lord God said, ‘Behold, the man has become like one of Us, knowing good and evil; and now, he might stretch out his hand, and take also from the tree of life, and eat, and live forever’—therefore the Lord God sent him out from the garden of Eden, to cultivate the ground from which he was taken” (Genesis 3:22-23, NASB). 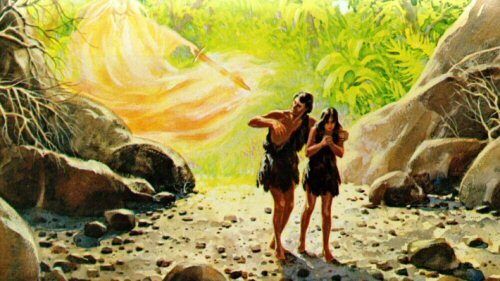 There are two main reasons why the Lord banished Adam and Eve from Paradise: (1) They had forfeited their God-given privilege of a life and land in which the Lord had provided everything for them. Now they must work hard for a living by struggling with the elements from which Adam was created. (2) The answer to the question of proportional punishment (death) for disobedience, lies in the fact that if Adam and Eve had been allowed to remain in the Garden of Eden, they would have eaten from the tree of life and their existence on earth would have continued indefinitely. By eating of the forbidden fruit, Adam and Eve’s eyes (by the very act of seeing, listening to, and agreeing with the source of all evil, Satan) were opened experientially to evil itself. It was a foregone conclusion that this evil would spread to subsequent generations, which is exactly what happened. God, in his mercy, allowed Adam and a few generational descendants to live hundreds of years before they died. The Lord was proven right (he’s always right! ), when subsequent generations became so wicked that the Lord eliminated them from the face of the earth and started over again with Noah and his family. To this day the only thing that prevents mankind from self-destruction (which those left behind at the Rapture will come perilously close to), is that each generation has passed from this earth. And the only reason that this world has any measure of hope is the passing down of the Gospel of Jesus Christ from generation to generation. 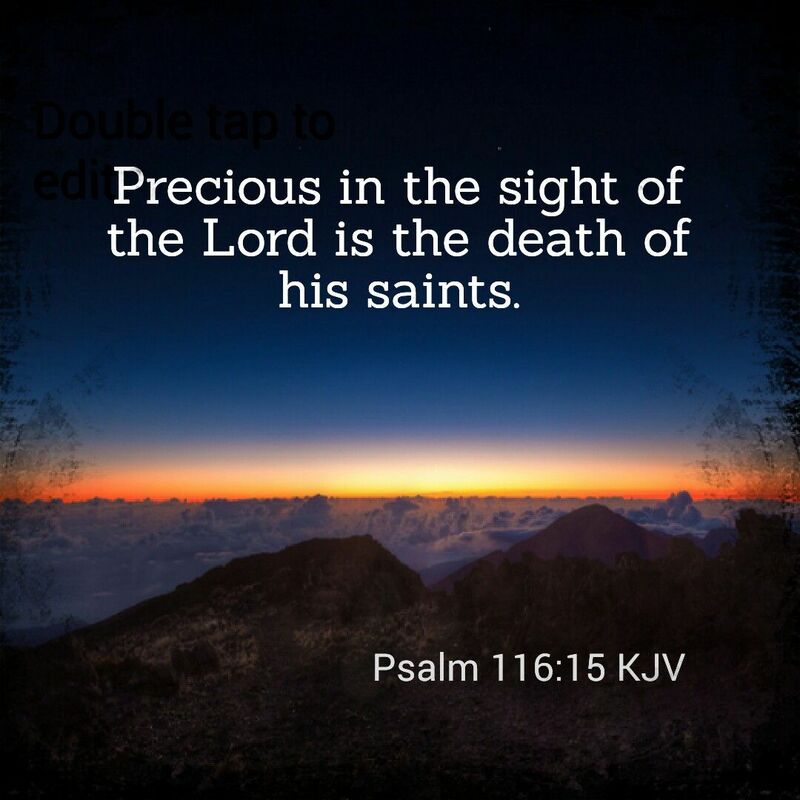 This Good News assures us of everlasting life in Messiah Jesus and promises that one day death itself will be no more; if we accept Christ as our personal Savior. Jesus is the only Way, the ultimate Truth, and the (heavenly tree of) Life. God chose not to take away the tree of life from Adam and Eve; instead he took them away from that tree (from the entire Garden), as it was part of their punishment. Some say that this tree is symbolic. However, the evidence overwhelmingly demonstrates that the tree of life was as real as the tree of knowledge of good and evil. Adam and Eve actually ate of the forbidden fruit; there’s no indication whatsoever that there was anything symbolic going on. In fact, a “figurative” eating of the fruit of either tree makes no sense at all. We see this tree of life in the first book of the Bible. In the last book, Revelation, we find two trees of life in the New Jerusalem—which will hover over the earth throughout eternity. “Then the angel showed me a river with the water of life, clear as crystal, flowing from the throne of God and of the Lamb. It flowed down the center of the main street. On each side of the river grew a tree of life, bearing twelve crops of fruit, with a fresh crop each month. The leaves were used for medicine to heal the nations. No longer will there be a curse upon anything…” (Revelation 22:1-3a). In between, we learn of the rebuilt Temple (during the Great Tribulation) and of the remarkable changes in the earthly Jerusalem (during the Millennial Reign of Messiah Jesus) including “fruit trees of all kinds” (See Ezekiel 47). (For an in-depth examination please refer to the two-part Eye of Prophecy article, A Third Jewish Temple, posted 4-26 & 5-3-14). One of the problems experienced by Christian believers in Corinth was their questioning of a literal bodily resurrection of the dead, or of any resurrection at all. Paul begins his negation of this deceptive notion with a blunt (all the while expressing love for his brothers and sisters in Christ at Corinth and all the churches) challenge, followed by a lengthy explanation that life (eternal) springs from physical death … that death must precede such life. “But tell me this—since we preach that Christ rose from the dead, why are some of you saying there will be no resurrection of the dead? For if there is no resurrection of the dead, then Christ has not been raised either. 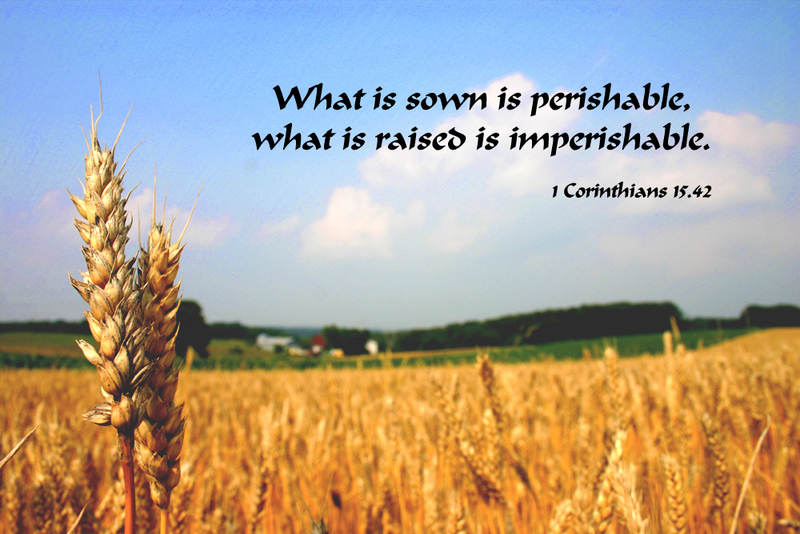 And if Christ has not been raised, then all our preaching is useless, and your faith is useless. And we apostles would all be lying about God—for we have said that God raised Christ from the grave. But that can’t be true if there is no resurrection of the dead” (I Corinthians 15:12-15). 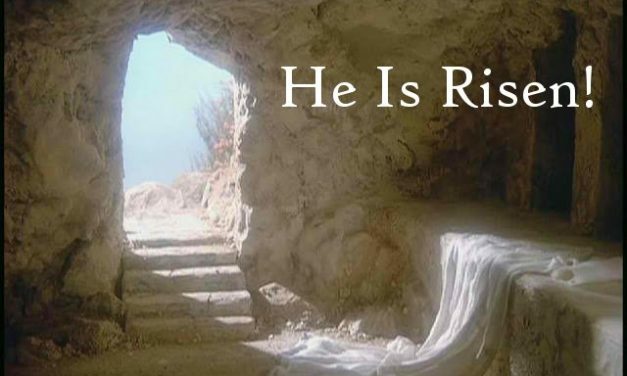 “But in fact, Christ has been raised from the dead. He is the first of a great harvest of all who have died” (Verse 20). Paul goes on to present examples that God’s creation is composed of distinctive bodies. “…When you put a seed into the ground, it doesn’t grow into a plant unless it dies first … Then God gives it the new body he wants it to have. A different plant grows from each kind of seed. Similarly there are different kinds of flesh—one kind for humans, another for animals, another for birds, and another for fish. There are also bodies in the heavens and bodies on the earth. The glory (essence) of the heavenly bodies is different from the glory of the earthly bodies” (I Corinthians 15:35-40, parenthesis mine). Without our Savior’s magnificent resurrection, there would be no forgiveness of sin, no reconciliation with God, and no hope for anything beyond the grave, except an eternity separated from God—the second death. No one would be equipped to live in heaven forever, because this heavenly existence is impossible in our earthly bodies. “It is the same way with the resurrection of the dead. Our earthly bodies are planted in the ground when we die, but they will be raised to live forever…. They are buried as natural human bodies, but they will be raised as spiritual bodies. For just as there are natural bodies, there are also spiritual bodies” (I Corinthians 15:42-44). And, “What I am saying, dear brothers and sisters, is that our physical bodies cannot inherit the Kingdom of God. These dying bodies cannot inherit what will last forever” (Verse 50). (Please see Eye of Prophecy two-part series: Spiritual Bodies … A Contradiction of Terms? Posted 9-26 & 10-3-15). Now let’s come to terms with the Biblical truth that it is appointed for every person who has ever been born to die, a prototype that goes all the way back to the Lord’s pronouncement of this verdict to Adam and Eve. In contrast to the catching up to heaven of both dead and living believers at what is commonly called the Rapture. In this 15th chapter of I Corinthians, Paul expands and expounds on the Rapture passage in I Thessalonians … written 3-4 years before his first letter to the Corinthians. Fasten Your (Spiritual) Seat Belt … Here We Go! “But let me reveal to you a wonderful secret. We will not all die, but we will all be transformed!” (I Corinthians 15:51). “STOP!” You shout. Didn’t Paul just say that “we will not all die.” Doesn’t that mean, then, that those alive at the Rapture won’t die after all—no matter that the author of Hebrews (which most Bible scholars and teachers also believe to be the Apostle Paul) says everyone must physically die. Which, by default, also includes believers in Messiah Jesus. “It will happen in a moment, in the blink of an eye, when the last trumpet is blown. For when the trumpet sounds, those who have died will be raised to live forever. And we who are living will also be transformed” (Verse 52). *Note: The “it” of the above verse refers to the actual transformation itself, not the entire sequence of the Rapture events. (Please see Eye of Prophecy article: The Shout Heard Around the World, posted 4-22-17, for a detailed sequence of the Rapture, projected to take several minutes). Now, I’ll ask you to pause for a moment before we continue. Please pay close attention to the next part of the passage as well as the commentary offered concerning the juxtaposition of all must die (Hebrews 9:27 and other passages) with Paul’s statement, we will not all die. 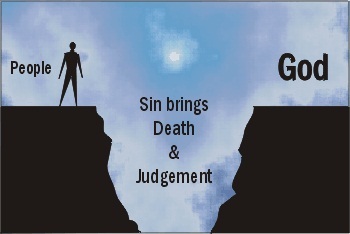 “For sin is the sting that results in death, and the law gives sin its power. But thank God! He gives us victory over sin and death through our Lord Jesus Christ” (I Corinthians 15:53-55, italics for emphasis). *Note: Death is swallowed up (defeated) only AFTER the transformation of all believers. First, a reminder of what death is or what is means. The Greek word for death (Thanatos, used 119 times in the King James Version) is defined as separation, not annihilation or cessation of existence. In Hebrews 9:27, the Greek phrase “to die” is apothnesko (ap-oth-nace-ko), which means just that, to die. Which is defined as, the natural death of a person. Thus, when someone dies he or she has entered the state of death (Thanatos) which is separation of their spirit from their physical body. Spiritual death is separation from God eternally for those who have not accepted God’s (Biblical) salvation by believing and receiving his Son’s substitutionary death (and resurrection!) as the only remedy for the penalty of sin and rebellion against the Lord (John 3:16). The conceptual meaning of death is vitally important to grasp before we can resolve this paradox. Notice: Paul says that our “dying bodies” will (need to) be transformed. As we’ve already seen, the Bible proclaims that all must die. This clarification is not merely a technical distinction between those who have (actually) died before the Rapture and those who are dying … having not fully reached the otherwise inevitable point of death. In the context of what death is and means, Paul is saying that even those “alive” at the Rapture will experience death. Seriously? Yes, seriously. Even living believers will encounter death the instant they are transformed. Just like the “dead in Christ” they, too, will be resurrected from that death. Which unmistakably means that even the spirit of those believers who are alive when this transformation takes place will be separated (Thanatos) from their earthly body and intricately united with their glorious new spiritual body that will never die. Nonetheless, a body recognizable by friends and family as the same person (the new replacing the old) but with an amazingly altered appearance. Of no small significance: Nowhere in I Corinthians 15 or any other passage does the Apostle Paul state or even imply that the Biblical statement/principle that every person must experience death has been set aside, or otherwise exempted (exception made), even by the Rapture of those who are alive and remain. If that were the case, I’m convinced that Paul would have clearly clarified and meticulously mentioned that this Biblical precept (all must die) didn’t apply to the Rapture. Thus, when he says, “we will not all die,” he’s referring to those believers who are not actually in the grave. And why he continues by describing those alive are nevertheless in “dying bodies” that must be transformed (from death to life) precisely like those who have preceded them in death. With the action and result of this tremendous transfiguration that of each “living” believer’s spirit separated from their earthly body and placed into a glorious spiritual body that will never ever die or even begin to die in any way, shape, or form. The only difference is the timing of it all. The spirit of believers whose body is in the grave have been waiting (some much longer than others) for this reunion of their spirit into a transformed spiritual body. Whereas those alive at the Rapture will experience this instantly. Still, there will undoubtedly be some believers who will “die” (not yet buried) just a few seconds or even a split-second before the Rapture takes place. In that regard, their transformation will be on par with those who are alive and remain. In either case, the heart of the believer will beat one last time; each will draw one last breath in this earthly body. Paul reinforces this fact with his all-important analogy of our earthly bodies being equivalent to a seed planted that must die before it can be transformed into a living plant. No believer should fear death. For death is only a passage to our heavenly home. What most believers fear is the pain that sometimes precedes death, especially if we succumb to a dreadful disease or debilitating injury; and, of course, leaving loved ones behind. Even then, the pain remedies in today’s advanced medical treatment lessen that physical distress. So, you see: The Biblical truth that all must die (physically) is not contradicted or set aside by the Rapture of living believers. It’s true that those believers will not experience the full measure of the original death penalty (“planted in the ground”); however, they will still die when their earthly body is separated from their spirit. Then, just like the dead in Christ, the spirit of all believers will be indivisibly joined with a wonderful transfigured body, just like our Lord’s. “…we long for our bodies to be released from sin and suffering. We, too, wait with eager hope for the day when God will give us our full rights as his adopted children, including the new bodies he has promised us. We were given this hope when we were saved…” (Romans 8:23-24). “…Then we will be with the Lord forever. So encourage each other with these words” (I Thessalonians 4:17b-18). I had never thought of the inconsistency (or lack there of) regarding the death of all and The Rapture of living. Thank you for the article! Thanks, Charles for visiting Eye of Prophecy website and your comment. It’s actually Enoch who is the Old Testament representative (model) of New Testament believers. “Enoch lived 365 years, walking in close fellowship with God. Then one day he disappeared, because God took him” (Genesis 5:23). The reason the Lord took him was to separate and spare him completely from the Great Flood as a prototype of Raptured believers; just as believers will be taken in the Rapture to spare us from the Tribulation. In the very same book of I Thessalonians that contains the Rapture passage, Paul says: “For God chose to save us through out Lord Jesus Christ, not to pour our his anger on us” (I Thessalonians 5:9). The context of I Thessalonians Chapters 4 & 5 is the return of Christ and saving (exempting) believers from the wrath of God (during the Tribulation). Noah was there when the flood occurred (for the obvious reason of replenishing the earth with people), but he was removed from harm’s way. In that regard he did not experience the devastation of the flood at all, i.e. all life destroyed. Same thing with Lot. He was taken away from Sodom to be spared from God’s judgment. In that same vein, Lot didn’t have to go through God’s wrath poured out on Sodom. I’ve addressed this in several Eye of Prophecy articles. I’ll refer you to just one: Messiah’s Return & The Rapture (Same or Separate Events)? Posted 12-3-16.